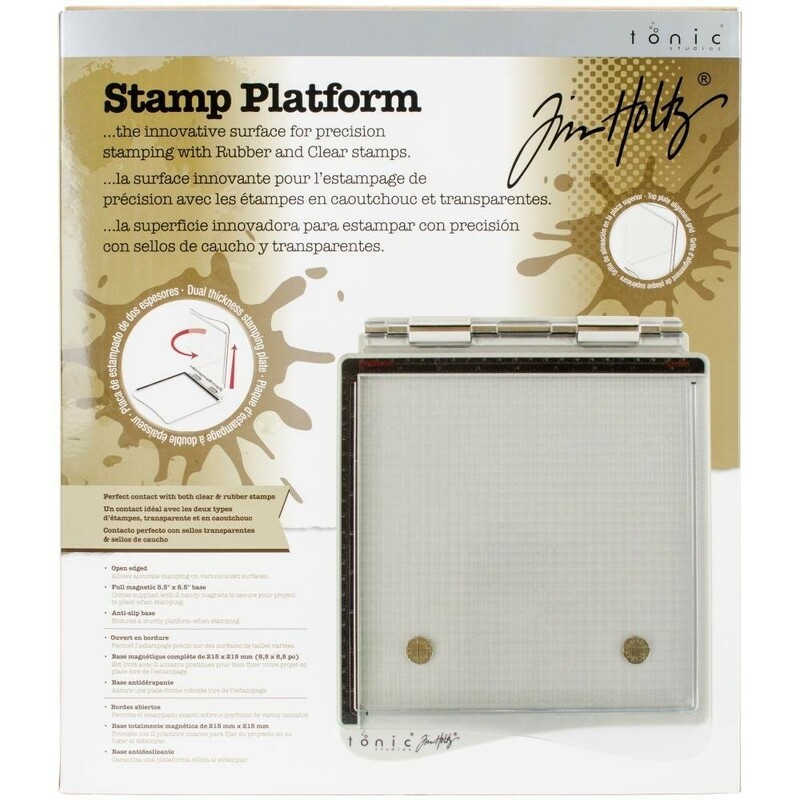 Make your stamping more accurate with the Tim Holtz stamp platform. For use with both rubber and clear stamps. Postion your card or paper on the platform base weighted down with Tim Holtz Magnets. Position your stamp onto the card or scrapbook paper. The stamp sticks onto the platform top, which you lift up. Add ink onto your stamp and close the platform top to transfer the image. See the embedded video for a demonstration. This platform has both imperial and metric measurements. This package contains one 9.5x11.5 inch stamp platform with an 8.5x8.5 inch stamping area, side ruler and two magnets.